sinner... You need to get "spd rcr"
YllwStgr, U.S. Marine, C7AMFAST and 2 others like this. Guys, this is a very interesting thread...been thinking about a personalized plate for my new C7 on order, but don't know if I can order one prior to purchase and VIN #. Any information? I live in Texas. I already have mine TX2GUN. SCR2014Vette and YllwStgr like this. Would Texas2Gun be a reference to that little school about 100 miles south of Amarillo on Hwy 87? “Guns up” was already taken! 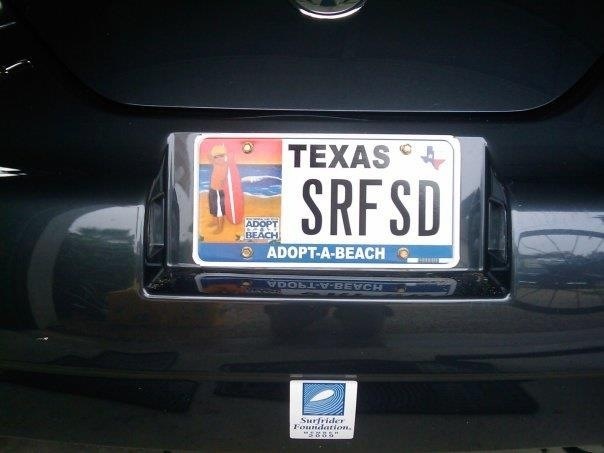 SCR2014Vette, YllwStgr, U.S. Marine and 2 others like this. FINALLY got word my Texas registration is complete, so I'm getting my vanity plates installed today at the dealership... woohoo!!! Are you all putting a frame around your plate or just mounting it directly onto the vehicle without a frame? I don't really want a frame on my plate. Thoughts to a cleaner look? I currently have chrome one around my vanity plate but it’s on my Solstice Coupe now. It looks good because the car is white and it goes with the chrome wheels and door handles. I was thinking of going with a thin black carbon fiber one when I move it to the Stingray. The Stingray is going to be black and I’m going to black out as much as I can on it. Last edited by Texas2Gun; 10-18-2013 at 08:56 AM. Where can you get a thin black carbon fiber one? I found a few on e-bay, But I don’t know the quality for around $35.00. YllwStgr and baitzeem like this. I felt the same way so I purchased a black matte finished metal frame (with plug inserts over the screws) for RedHot. I felt the black frame would fit nicely with the black surround. Last edited by jsvette; 10-18-2013 at 01:39 PM. elegant, YllwStgr, Texas2Gun and 6 others like this. YllwStgr and 8343 like this. Last edited by Dennis; 10-22-2013 at 08:30 AM. Texas2Gun, YllwStgr and zigfire66 like this.